Welcome to another book feature brought to you by Bookish Diaries Blog Tours! 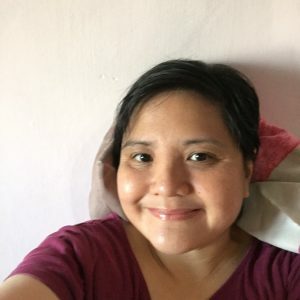 We here at The Great Big Jump would like to welcome back Dawn Lanuza, who first appeared on our blog with a feature on her debut novel The Boyfriend Backtrack. Now she’s back with a brand new book featuring a prodigal daughter, an adorable younger man, and the dark secrets of a seaside town. Links: Goodreads | Amazon | Available on Buqo! Those of us who have read The Boyfriend Backtrack may remember aspiring lawyer Jules, who served as the sensible friend and voice of reason to the neurotic Regina. Now, in The Hometown Hazard, she gets her own book, with her own chance at a happily ever after. That’s not to say that her journey is anywhere near easy; this time, Dawn Lanuza takes Jules through a risky path full of dark secrets, miles away from the lighthearted existentialism of the previous book. It all starts with an invasion of privacy: Jules gets a phone call from her mother telling her about somebody breaking into her childhood bedroom–nothing important has been stolen, but the disturbance is so great that Jules is compelled to go home to San Juan and see what the matter is all about. She plans on staying for a short time, but then she sees her neighbor Kip scaling the wall between their houses, and immediately deduces that Kip has something to do with the break-in. After a series of close encounters, Jules encounters Kip’s hidden agenda: a paper trail following a series of mysterious payments made through her father’s organization. Kip convinces Jules that they are on the same side as they try to follow the missing money, and it doesn’t take long before an undeniable bond forms between them. But Jules didn’t promise to stay too long in town, and the questions still remain: Where is the money? What does it have to do with Jules and Kip’s parents? And what happened to Jules that was so bad that she didn’t come back to their hometown for a whole decade? “I haven’t been here in so long,” I said, my eyes squinting at the glistening water. Kip may be two years younger than Jules, but compared to the parade of boyfriend wannabes in Backtrack he is stable and confident, even as he convinces Jules to push aside her reservations and live a more spontaneous life. You could tell from every page that Kip has always admired Jules–even from afar–and it is his devotion to her that draws her out of her shell, in spite of the secrets that could tear them apart once they come to light. It’s no wonder that Jules keeps on putting off her departure from their town; the more time she spends with him, the more she realizes about herself and the decisions that she has to make in her life. It’s a testament to the author’s skill that the romantic and suspenseful elements are balanced by equally compelling subplots. Jules’ friendship with Regina and Leslie (from Backtrack) is wonderfully portrayed here as a counterbalance to the intrigue that surrounds her return. Then there’s the relationship that Jules has with her own family, who by no means have been affected by her ten-year disappearing act to live in the city and pursue a law degree. These relationships are so integral to Jules’ development as a character that I wish there had been more of these moments to balance out the dark tones of the main plot and build up the mystery behind Jules’ departure. In fact, I found the revelation of what had happened to Jules before she left town to be too abrupt, and the ramifications would have had a greater impact if there had been more room for Jules to think about why she left. I won’t spoil the rest of the story for you, but I will say that if you’re familiar with the plot for Backtrack, you’ll be able to put the timeline of events for Hazard in perspective. 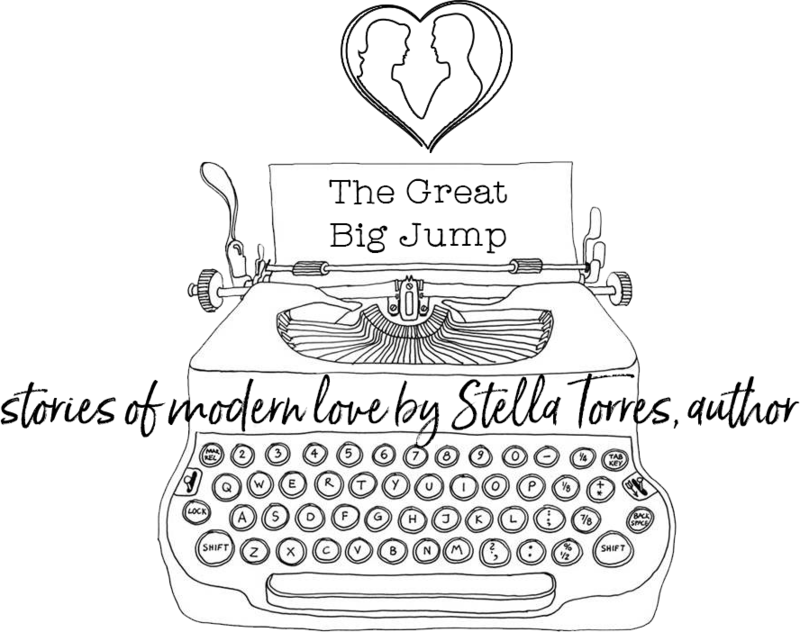 The author ends the story with a “happy for now” ending, but it’s an ending that makes you optimistic about Jules and Kip’s chances of making it as a couple. A great sequel from an author to watch. Dawn Lanuza started writing stories when she was just a kid (they weren’t good or even finished). She works for the music industry by day and writes meet cutes and snappy comebacks by night. The Boyfriend Backtrack is her first book. She currently lives with her family and an adopted dog. Time for a Rafflecopter giveaway! 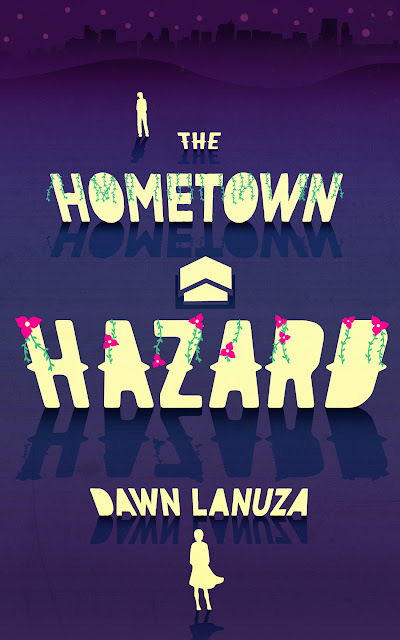 Get a chance to win an e-book copy of The Hometown Hazard. Open internationally!